Just like handbags, shoes, and denim, the lingerie world has seen its fair share of trends come and go. In particular, it's almost impossible to keep track of the popularity of different bra styles—from push-ups and sports bras to racerback and strapless versions, there are a million iterations to choose from at any given time. But what's in and what's out right now? The verdict: The push-up bra is over, and the bralette is in. Fast Company took an in-depth look at the statistics behind the trend. The site reported on lingerie company True & Co.'s bra fit quiz, which surveyed 2.7 million women. 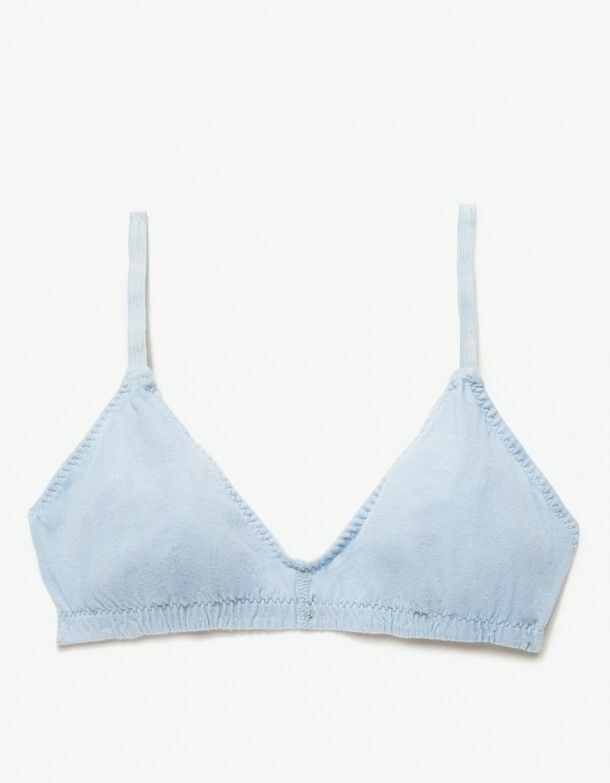 The results showed that four out of five women don't wear push-up bras anymore—instead, they're turning to bralettes. "True & Co.'s push-up sales dropped from 24% to 15% in a single year, while unlined bras—wire-free styles and bralettes—were the company's biggest growth area with its customers," Fast Company reports. So there you have it: Now you know what to shop for the next time your underwear drawer needs an update. Want to nix push-ups in favor of ultra-popular bralettes? Scroll down to shop our favorite picks! Next up, see Charlize Theron wearing only a bra on the red carpet.